Free range ducks are happy ducks! 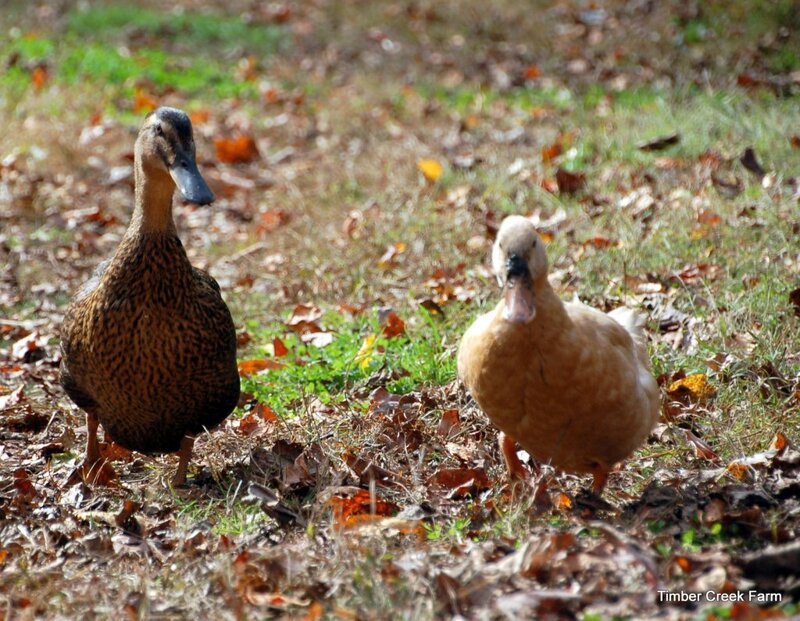 When we first started raising ducks, we didn’t let the ducks roam the farm. 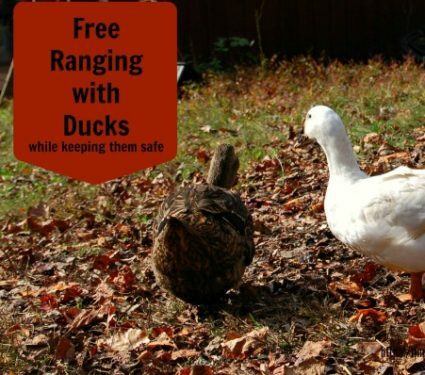 We didn’t feel that the property was set up for free range ducks. The poultry area backs up to woods. Woods, where raccoon, fox and an occasional coyote make their homes. Eventually we gradually began letting the ducks and chickens out of their pens for free ranging. Other property modifications were made to add safety for the free range ducks. 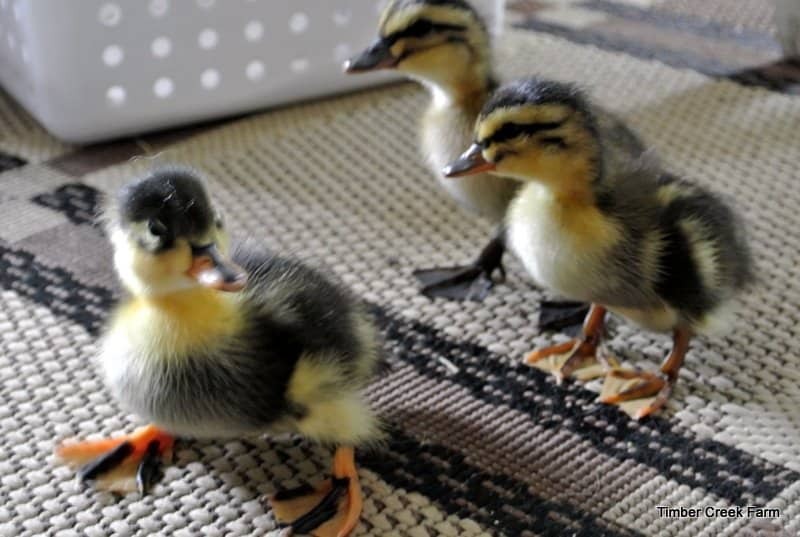 I started raising ducks years ago, for eggs, and to hopefully hatch some ducklings! We have been fairly successful on both goals. The hens are very reliable layers and although our broody hen failed to set long enough to hatch out the ducklings, we did hatch four in the incubator. Ducks get along well together even though I do notice some inner cliques among the ducks we had first. Our ducks live in a rather large duck complex with a large building with two attached covered runs, two pools and all you can eat buffet of duck food and bugs. 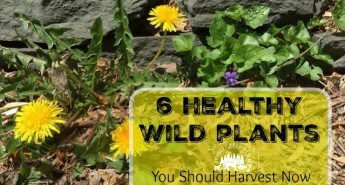 I brought in grass, weeds, vegetables and meal worms regularly to supplement. All was well, but after visiting a friend’s home and seeing her ducks free ranging during the day, I had a strong urge to let the ducks taste some freedom. Psst. that’s not the way out! Being surrounded by woods and woodland creatures, I was still hesitant to let them roam too freely. I set up a large perimeter using a mesh poultry fence. It’s a pretty classy set up, but they were just having too much fun in the fall leaves to notice the boundaries. At first, our dog was concerned that I may have lost my mind. He tried to tell me that the ducks were out roaming around! So, yes, the ducks have had the opportunity to free range the poultry area.The area is large and the ducks respected the mesh fencing. The mesh fencing won’t keep out predators but it will slow the predator down, giving us more time to react. In addition, when I leave the farm, the ducks must return to their duck house and duck runs. I don’t think I will ever become comfortable with them free ranging the property while I am not watching out for predators. Why Let Them Be Free Range Ducks? There’s no arguing with the evidence that free range ducks are happy ducks. 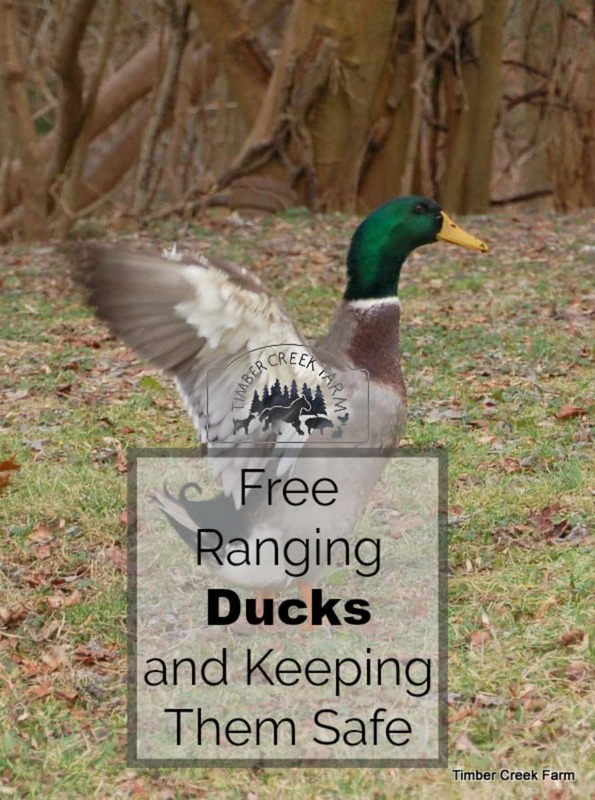 What other benefits are there in free ranging ducks? Bugs and grasses are the ideal food for ducks. Duck pellets are a nutritiously balanced diet. 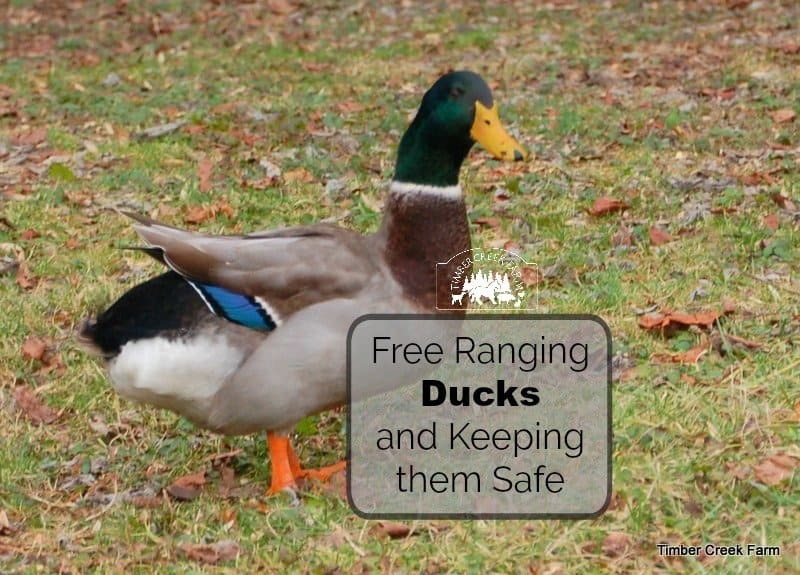 However, ducks allowed to free range, choose the balance of protein, minerals,and vitamins. Free range ducks have low incidence of abnormal wing and bone development such as Angel Wing. Letting the ducks out to roam lets them move around more than they will in the pen. Doing so will decrease duck obesity. Did you even know that was an issue? 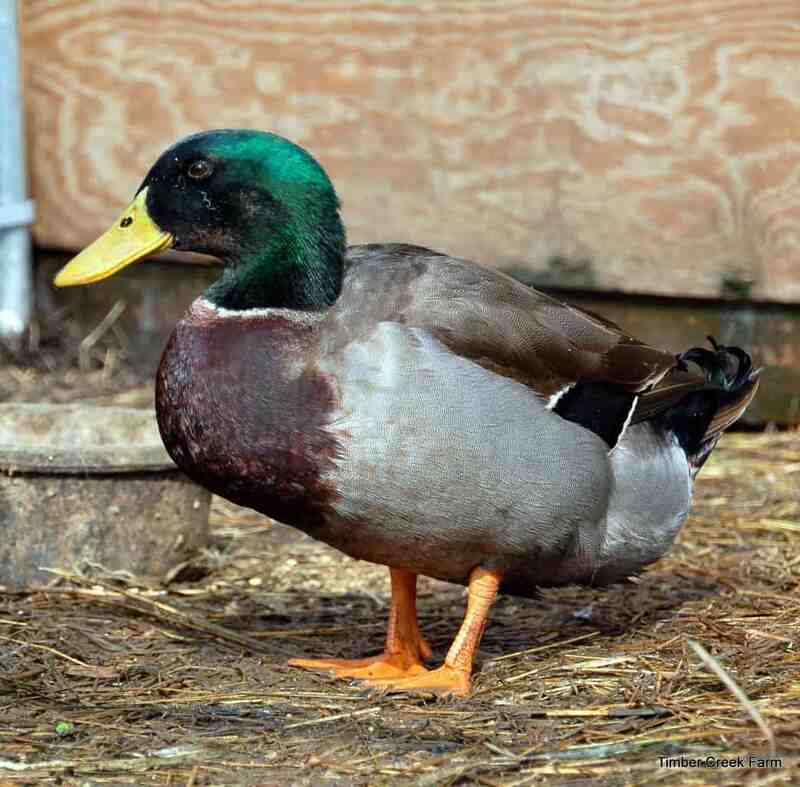 Domestic breeds of ducks were intended to be used for meat. 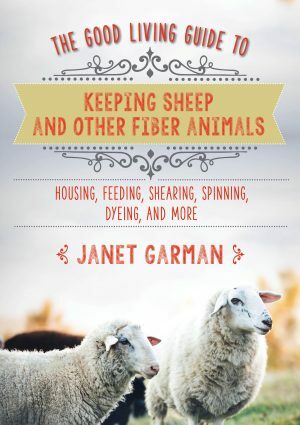 They gain weight quickly which is optimal if you are raising meat for your family or market. 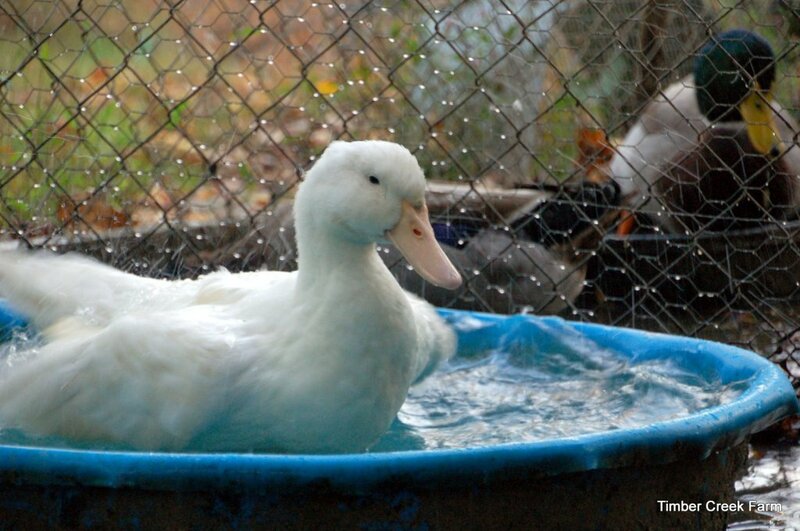 However, many of us also keep domestic ducks for pets and for egg production. Obesity will lead to other health problems in your duck. 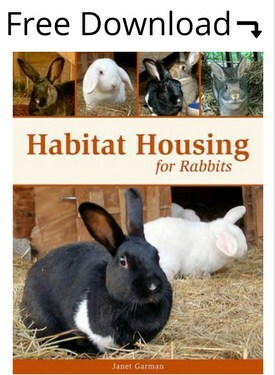 Foraging and free ranging for food is a healthy option. Calories are burned as the duck enjoys the found morsels. 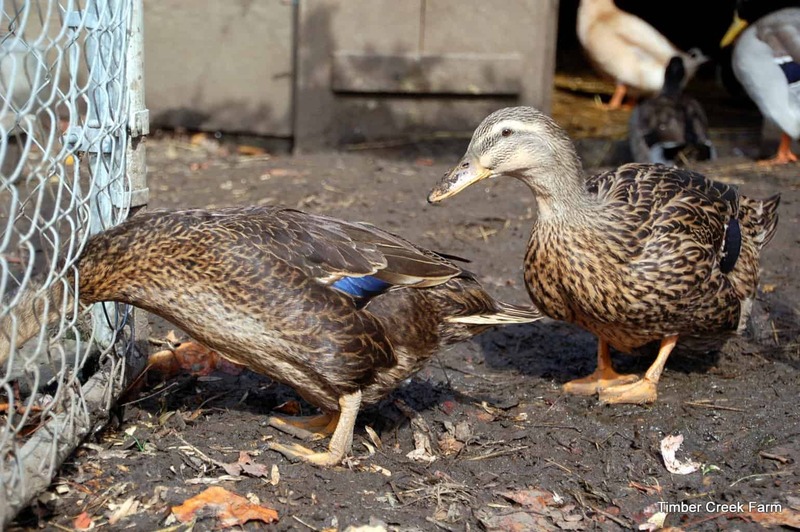 Always supplement with a high quality duck ration when the ducks are in their coop and pen. 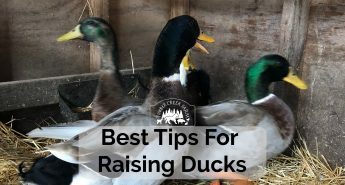 Ducks that are laying will need the extra nutrition and calcium. 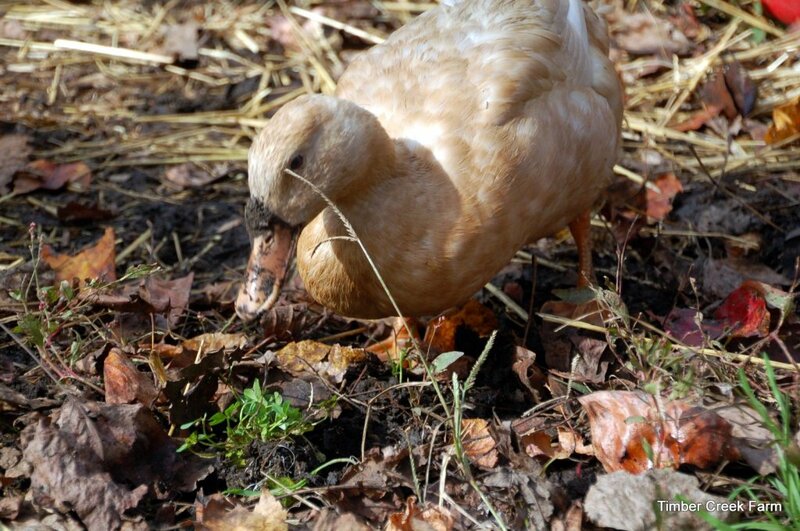 Ducks are great at clearing out pesky larvae, grubs and beetles. Insects are a protein packed snack and apparently very tasty. Letting the ducks free range around the garden will help with the pesky insect damage. 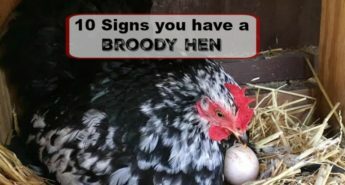 of course they will also help themselves to your tasty vegetables if you don’t take precautions or supervise the free ranging in the garden. There is less lawn damage when the ducks are free ranging. When we put up the pens around the duck house, the area was grassy. Not long after, the area was a mud pit when it rained. Having no where to roam, the ducks just continued to dig for insects in the same spot and eat every bit of green vegetation. Since we started letting them free range for a good portion of the day, they rarely make a mess except close to the swimming pools. When I leave the farm, the ducks must go back into the enclosed runs. We just have too many hawks, racoons and foxes around to leave them out in the open. For now they will have to be content with this step. It may be all I can bring myself to do in our setting. I realize a lot of people have totally free range ducks but I think its important to remember that everyone has a different comfort level on the topic of free ranging poultry. 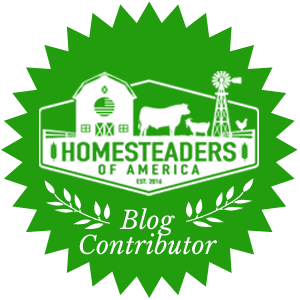 Each farm or homestead has a different set up, too. For now, I am happy that the ducks can have some free ranging time. Supervised free range is the best. That’s what we do as well. Ducks in their enclosed pen unless we’re home and outside with them. And honestly, it’s the best part of every day. They love it, we love it, they’re safe and we’re happy about that. 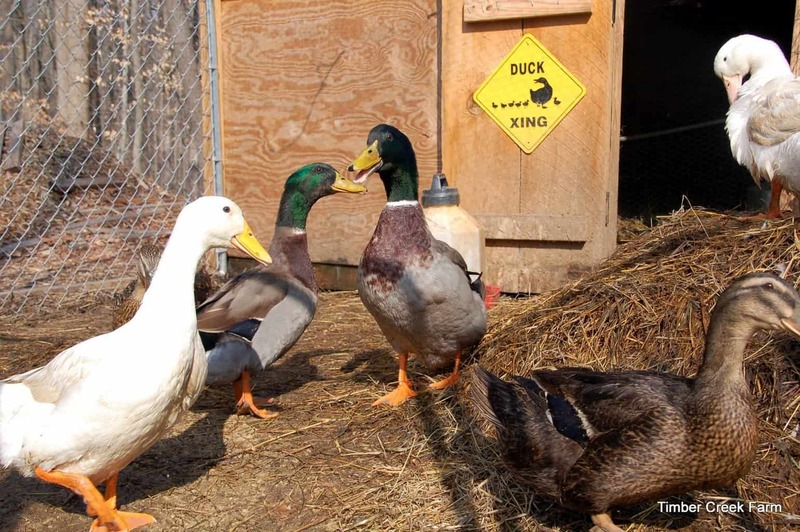 Domestic ducks are even more vulnerable to predators than chickens, so we like to err on the side of caution – for their sake. We free range our ducks too! 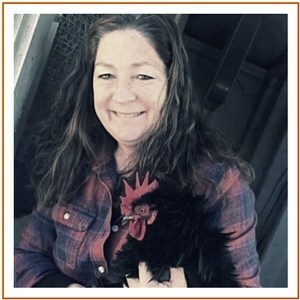 I’m a stay at home mom, so I’m home most days and feel comfortable leaving them and the chickens “home alone” for a couple of hours should I have to run to town. We have a Livestock Guardian Dog who watches after the animals all day as they pick and dig for goodies :). They are definitely much happier when allowed to forage and meander as they were meant to! i pasture all 150 ducks over 5 acres of land that i lease, just for them. i let them out of the barn they sleep in(and lay eggs in) and off they go. some venture further than others and they know, instinctively to hang by property fence lines, under trees and watch out for large birds of prey. there are what i call the ‘perils of pasturing’ and i might lose 2-3 ducks to prey a year, at most. 2014 i lost one duck. we have racoon, eagle, hawk, mink, cougar, dog – all the predators – the guinea hens and the big rooster along with the other birds on the property, wild quail, chickadees etc alert each other to a predator with their unique calls….the benefits of pasturing, foraging and being ducks greatly outweighs penning them – a very human-centric view of animals. AWA has a great website with information on the benefits of pasturing – http://www.animalwelfareapproved.org i have hearty happy ducks. Hi Barbara! well that is certainly very encouraging to know. For now, I think I am more comfortable keeping them in the pen unless I am nearby. But I am glad to hear this is working out for you. 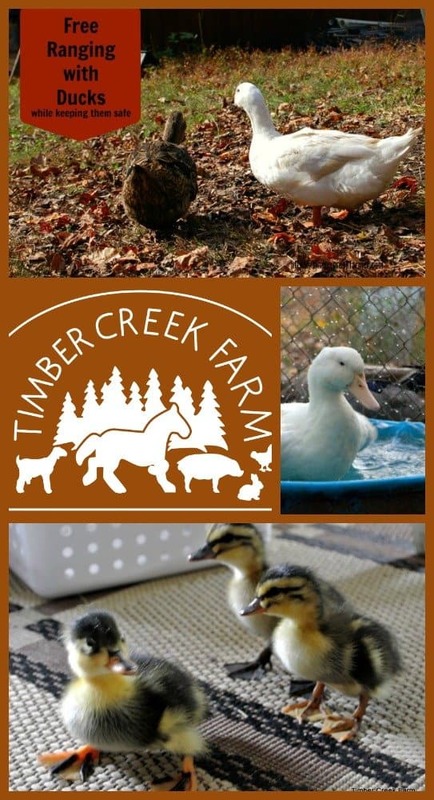 I am getting a dozen or so lg full grown ducks from friend and need to have them on my farm. I am not living there and curious if they would allow to be let out by an auto driven door opener mid am and shut in at night? I would have a hardware cloth pen but need them to clean up not ponds while free ranging. What do you think?? 4 sq ft ok for pen size? Anyone have a coup with real 6′ door or must I crawl into coup?? An auto door would work if they weren’t being shoved into such a small space. 4 sq ft? Really? I agree, I?m taking the big step tonight, the babies and mom and dad have a new low home. The other was raised and once the babies hatched mom and dad would not come out, after 3 weeks I figured they are meant to be free, I have a fenced yard and the new coop should they go in. I?m a little scared, I?ll try guiding them into the coop, which is under a large corner tree . I have seen osprigs fly over had but the don?t like the large tree! I haven?t seen raccoons in the yard or had the garbage over turned since the full fence was put in. Love free or die is my motto. Hopefully they?ll go into the coop at dusk. I dont know. I stay at home and was letting my 10 ducks free range. I left them out in the middle of the day and came back 2 hours later to find 9 killed side by side only 30 feet from my house. 1 managed to escape and hide under the back porch. Now I keep them penned. Ducks are just too slow and vulnerable. My chickens on the other hand free range all the time and I only lose one here and there. 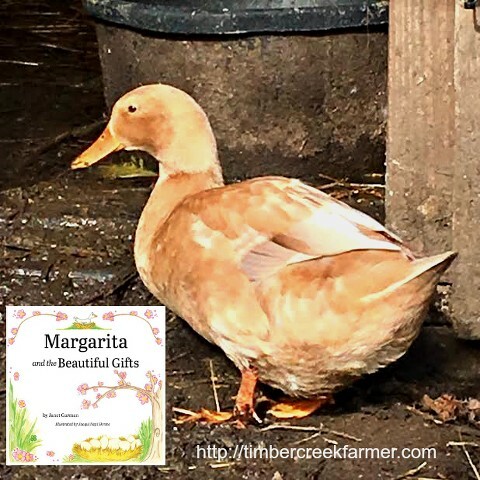 Your beautiful ducks sound like they live a great life, and love the sound of Chief your faithful feathery-bodyguard, sounds like a sweet boy. 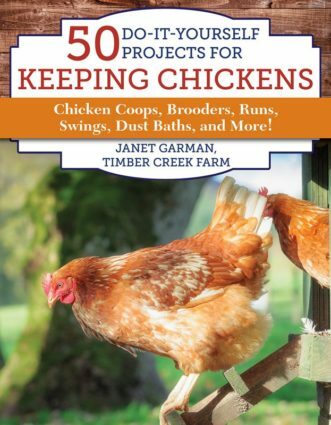 I grew up with chickens, and they had quite a big fenced in yard attached to their coop, with a enclosed garden next to that. One year we opened the overgrown garden to let them explore in there and they loved it, even though the grass was really tall, it was cute seeing them sniffing around and enjoying themselves. My granddaughter decided she wanted to raise a duck, when the YMCA (where she works) brought in some “trained” ducks. She asked if she could have one, we said yes. Now realize we live in a suburb area. I had her to read what she could on the subject of ducks. She prepared for the duckling, before she brought it home. Well, what started out to be one duck turned into 3 ducks. The first duck (white duck) turned into being “mother hen” to 2 Brown colorful chicks, that my grandaughter saved from being mistreated from their mother. Well, after awhile (7 months) the brown ducks realized they could fly. One left in June, the other one left for a day or two but came back home, because she realized she didn’t have to hunt for food, and a had shelter and swimming pool. She left in Sept 2015. In the meantime, my granddaughter got two more ducks. These ducks are much larger than the first one. At first she didn’t like them, but she finally took to them and now she is the QUEEN to my backyard. Even my pug has to obey her. LOL. But to make a longer story short, we started noticing the ducks were climbing under the fence and roaming the whole yard, even after her father built them a big fancy house. They sleep and huddle next to my house, I have to herd them back to their coop, which they escape at night. They love roaming free. 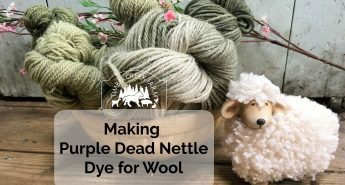 I just have to find a way of keeping the order down during the summer months. They are happy and the older duck keeps them in tact, plus she is laying eggs where ever she she is laying at the moment. The only vermits we have is squirrels. I am waiting to see what happens when the brown ducks come back this spring. Thank you for your info, very helpful. 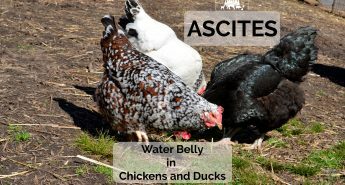 I know this article is from last year, but we live in the same type of area (15 acres of woods that include a pond a 2 creeks) I would love to free range my ducks but how do you get them to come back to the coop if need be??? 7 or my ducks are rescue “sale barn” ducks and are not very tame so I am worried they will never come back if I let them loose!!! I worried about that too. What I did was use flexible fencing to give them a bigger space out of the pen. Then I kept enlarging it. Finally we installed a netting style fence although we don’t have it hooked up to electric. Hope that helps you. Thanks for the great article! We have free-range raised mallards in the past on our 6 acre property. It is mainly woods, and surrounded on 3 sides by water and slough. Our mallards have always eventually gone to the water, and stopped returning. This year we are raising Welsh Harlequins for eggs and ducklings. 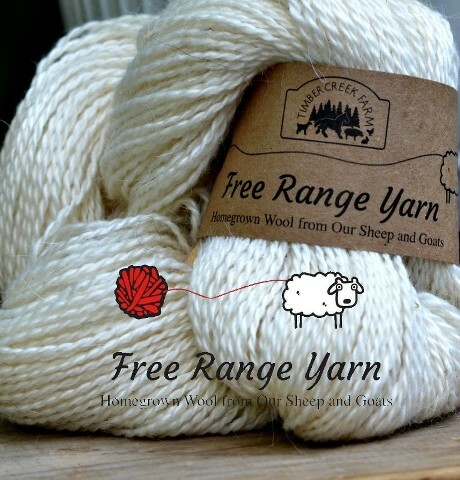 I am interested in either full free range, or some modified version. What sort of “flexible fencing” did you use to slowly increase the boundaries? We want them to return to our “Duck Lodge” at night, so we can keep them safe (and collect eggs). Any ideas would be greatly appreciated. Thank you again for a wonderful article! We use the premiere brand netting fence. It can be electrified but we don’t use it that way for the poultry. Dale, we’ve had welsh harlequin and Cayuga ducks for 3yrs. As ducklings, we kept them in the garage in a wading pool until they were bigger and weather was fair enough for them to move into their coop. Ours have been fully free ranged since moving into their coop. They naturally returned to their coop at dusk- they will seek the protection of the coop at night, although not always as early as we’d like. However, we did lose 2 the first year (they were 6 months) to a predator before we secured them in the coop. The first was taken overnight when my son had forgotten to close their door. The 2nd was taken at dusk before we’d put them to bed for the night. Since then we herd them (just walking slowly to direct them inside) in their coop at dusk in case predators are lurking. But they roam all day, we only have an acre but back onto a small woods, and a vacant 1 acre next door that they take full advantage of. However, as autumn descends every year, they tend to wander further and cross the road- we wonder if they’ve foraged their 3 or so, acre range clean by the end of the season and are seeking richer forage grounds. This time of year we start leaving them in a run to contain them, mostly because of concern for cars hitting them as they cross. Most duck breeds (Muscovy excepted) are heavier than mallards and don’t fly well, ours only can do a partially off the ground fly and usually only do so when they’re running towards us for peas. There’s little concern they will fly the coop like the mallards did. We live in New Mexico and coyotes live in our suburban neighborhood. Our ducks can free range only with direct supervision. The coyotes can jump our 6ft block wall grab a duck and jump back in just a few minutes. No way to get to them from inside of even from the backyard (they free range in the front yard. keeps the lawn lovely.) We have a duck geodesic dome fortress built with the Starplate building system–50ft circumference and 13 ft in the center. We’ve had to separate our ducks as we inherited a Swedish drake that was beating one of the Rouens senseless. We picked him up a lady friend, also Swedish. I would like to transition the little duck holes (they don’t like humans and that’s okay, maybe they’re not supposed to) to free range. 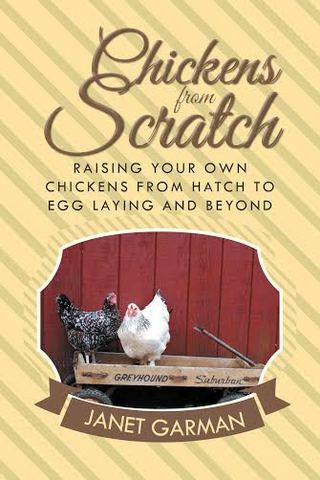 Reading up on the breed they thrive free range. Learning that they’re listed as endangered domestics, I want to keep them safe. Right now I’m clicker training them. I won’t chase you if you just go in your house when the clicker sounds. Rouens got it right away. The Swedish, well for him it means time to defend the pen and argue and try to bite me. Right now she’s trying to hatch some eggs (which is why I hope duck hole is being a hole), but after I’d like to start the transition. Did you start with an hour and then gradually increase the time? What do you do if they won’t go in? We had a couple of Rouen hens that we free-ranged for a couple of hours each day. They normally stayed out of the woods that surround our property, but in the last few days they started going down near our creek, still only 75 feet or so from their pen, which itself is only a few feet from our house. My wife let them out as usual today when returning from work. We got into the bad habit of letting them go unsupervised up to an hour or so, which she did when she came inside to cook dinner. They usually get on our front porch and stare into the storm door. Today they didn’t. 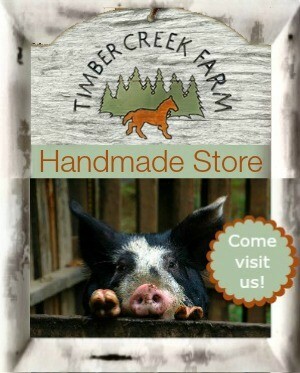 My wife and I looked everywhere in the woods, along the creek, etc. I could find no evidence of predation like feathers or body parts. I fear a fox, coyote, owl, or hawk got to them. But the fact that both of them disappeared in that short time makes me wonder if multiple predators caught them at the same time. We hope that they just ventured too far for whatever reason and will return on their own, but this was so radically different from their normal behavior so we don’t hold out much hope. Apparently I spoke too soon about our missing ducks. I never actually had a gut feeling that they were dead but logic took over and death by predator seemed much more likely to have happened than the hope that the ducks had simply wandered 20 times farther than they ever have and got stuck in the forest after dark. Yet the latter seems to have been what happened because when my wife got home from work, she listened for their usual loud quacking (yes they’re both female) in the back yard but sadly heard nothing. As she walked into the house it was then that the little sh@#s let out their usual “welcome home now get down here” tirade. I had really convinced myself that they were gone for good, so it was a pleasant surprise when she texted me that they were back. Obviously, from now on we will only let them out if we stay near them to keep an eye on them. My wife wondered if maybe they were looking for a mate (they’re 5 months old now), and I wondered if maybe a deer crossed their path and they followed it into the forest like they follow our dog sometimes. Regardless, we’re both relieved that they returned. Thanks for your condolences but I’ll keep them in reserve in case tragedy really does strike some day. Alan this is the best reply I have ever received. So very happy to hear the good news! That was very kind of you to say. Thank you!